ROOM 4 This room is small, It has been stylishly furnished with a beautiful brass bed and is decorated in cream, beige and black. The clean, modern en-suite has a washbasin, shower and toilet. 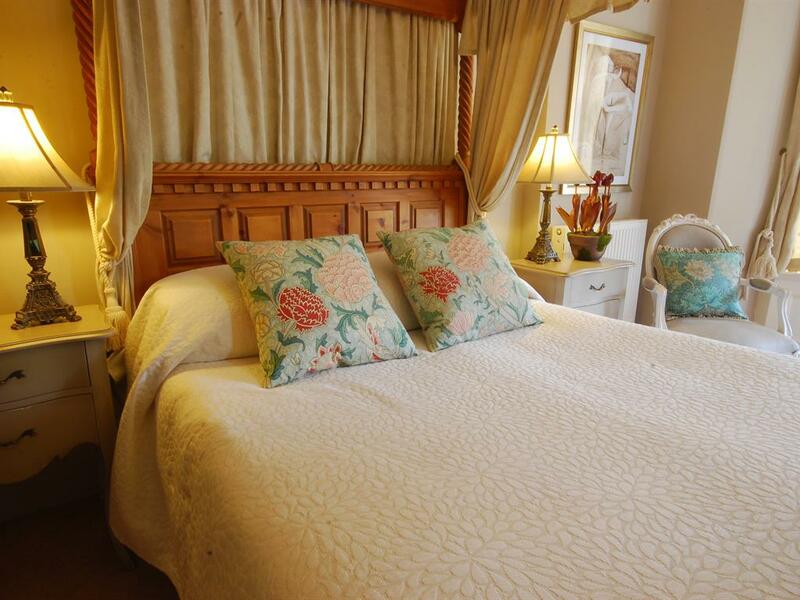 All bed linen, fluffy bath sheets and hand-towels are supplied. We also provide organic hand cream, shampoo, conditioner and soap. It has a flat screen TV and broadband internet access (Wi-Fi). This room is located on the first floor. 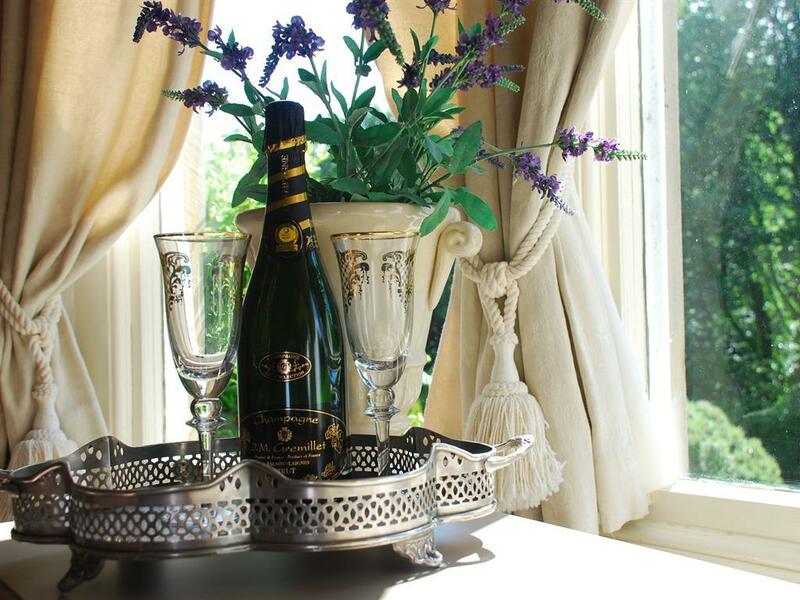 We also provide a complimentary refreshments tray with tea, coffee, hot chocolate, biscuits and chocolates. 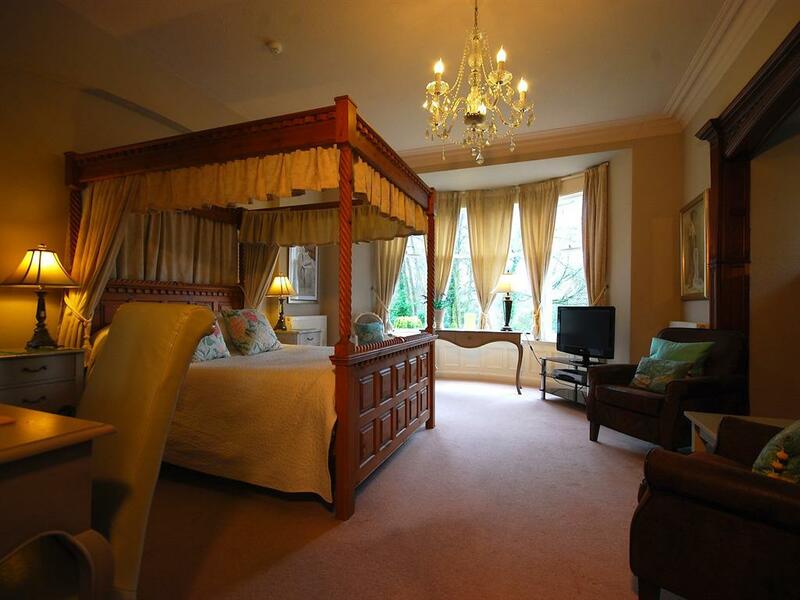 Above all, however, our beds are so comfortable that people tell us it's the best night's sleep they have had in ages! ROOM 1. This room has been stylishly furnished with a king-size 4 poster bed and is decorated in cream and soft aqua. The clean, modern en-suite has a washbasin, shower and toilet. 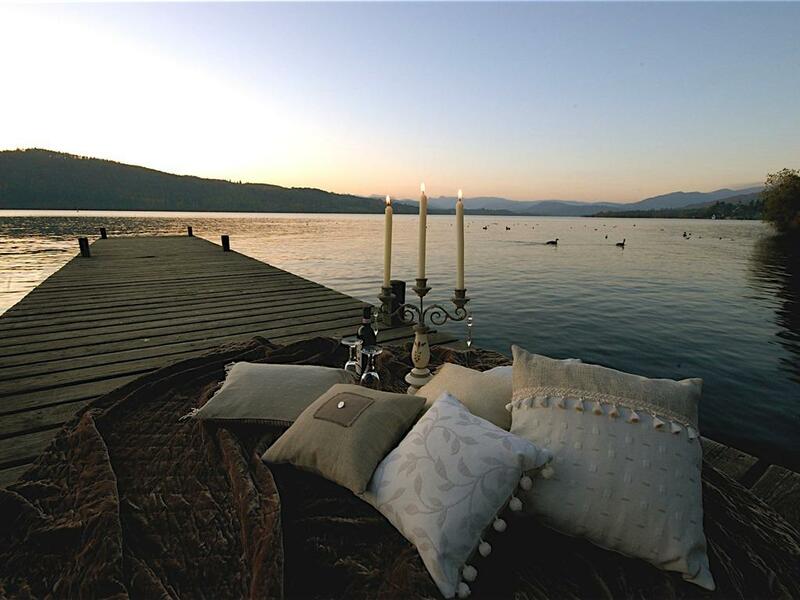 All bed linen, fluffy bath sheets and hand-towels are supplied. We also provide organic hand cream, shampoo, conditioner and soap. It has a flat screen TV and broadband internet access (Wi-Fi). This room is located on the first floor. We also provide a complimentary refreshments tray with tea, coffee, hot chocolate, biscuits and chocolates. Above all, however, our beds are so comfortable that people tell us it's the best night's sleep they have had in ages! ROOM 2, ROOM 5, ROOM 6 and ROOM 9. ROOM 2 is comfortably and stylishly decorated in cream and soft burgundy (in the photo the cushions are red in colour). It is a dual aspect room making it very light and airy. This room is on the first floor. ROOM 5 is beautifully decorated in cream and soft aubergine, with a French-style four poster bed. This room is on the first floor. ROOM 6 is a very cosy room decorated in cream and soft purple. It is located on the first floor at the back of our guesthouse and so is a very quiet room. 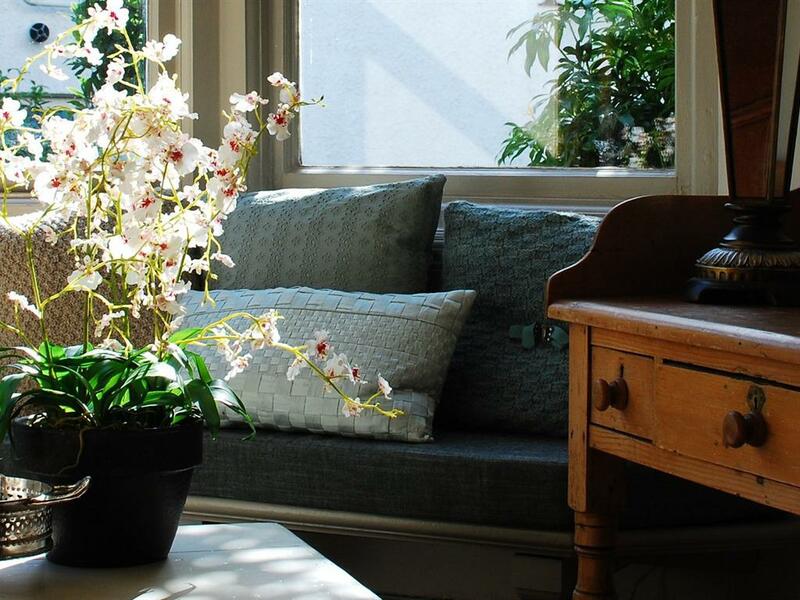 ROOM 9 is stylishly decorated in cream and soft blue and is located on the ground floor. 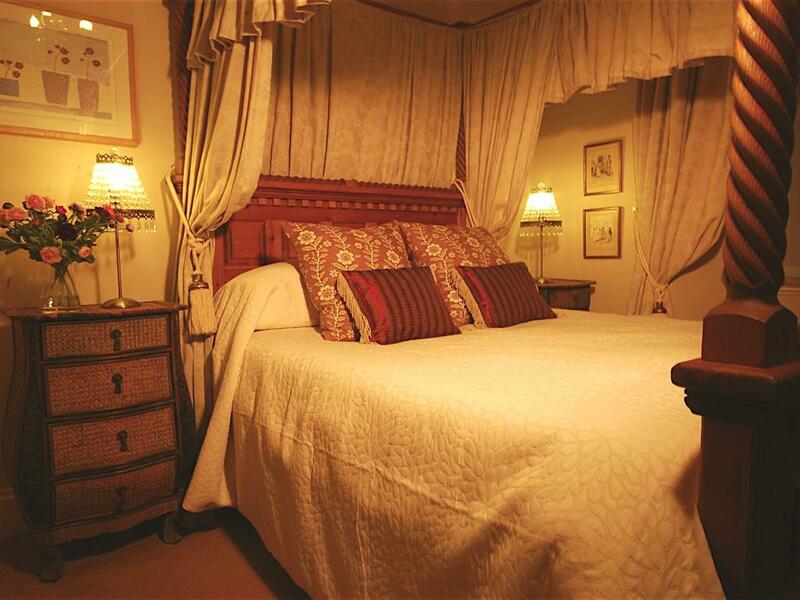 Each of our four-poster double bedrooms has a clean, modern en-suite with a washbasin, shower and toilet. 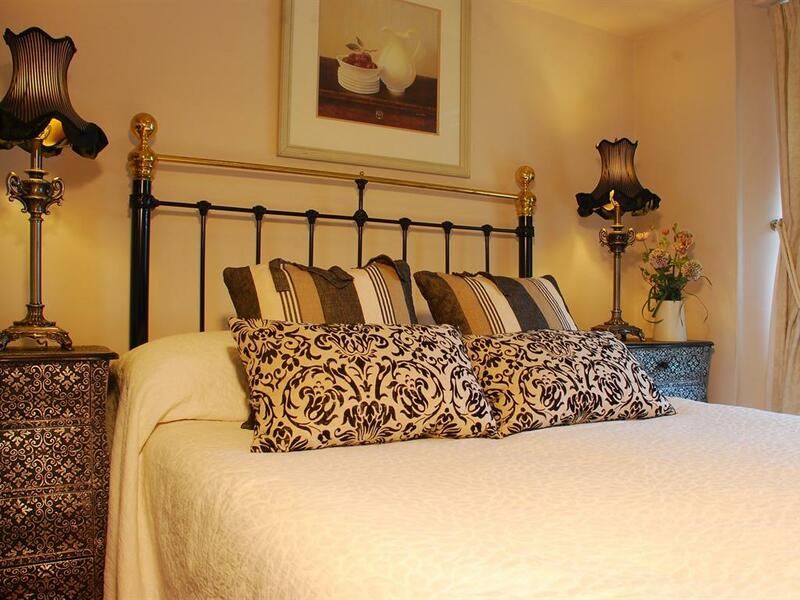 All bed linen, fluffy bath sheets and hand-towels are supplied. We also provide organic hand cream, shampoo, conditioner and soap. All our rooms have a flat screen TV and broadband internet access (Wi-Fi). We also provide a complimentary refreshments tray with tea, coffee, hot chocolate, biscuits and chocolates. 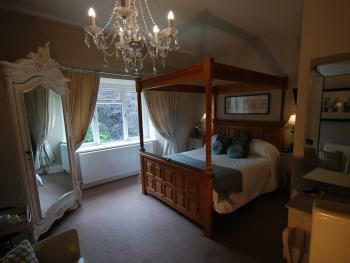 Above all, however, our beds are so comfortable that people tell us it's the best night's sleep they have had in ages! 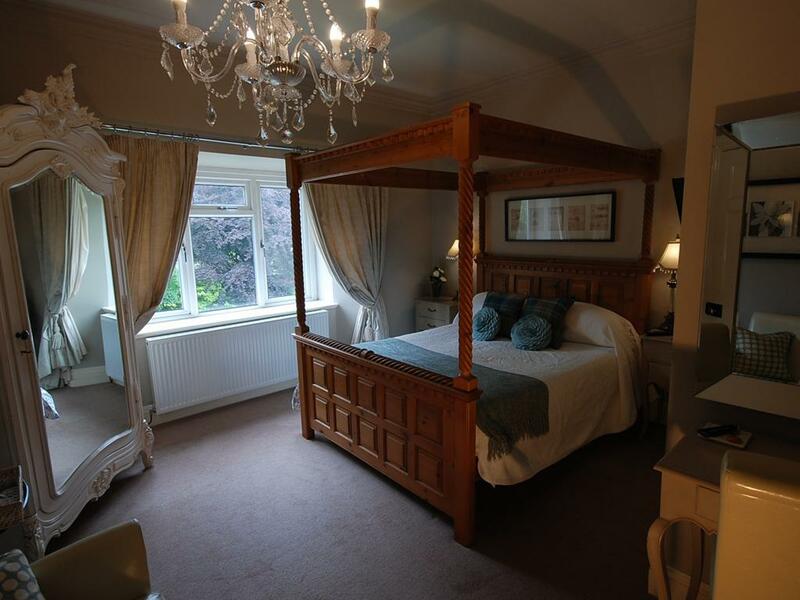 We have two stunning four-poster, superior king-size rooms: ROOM 3 is located on the ground floor and is our most spacious and comfortable room. It is decorated in cream and soft green with two comfortable brown leather armchairs. 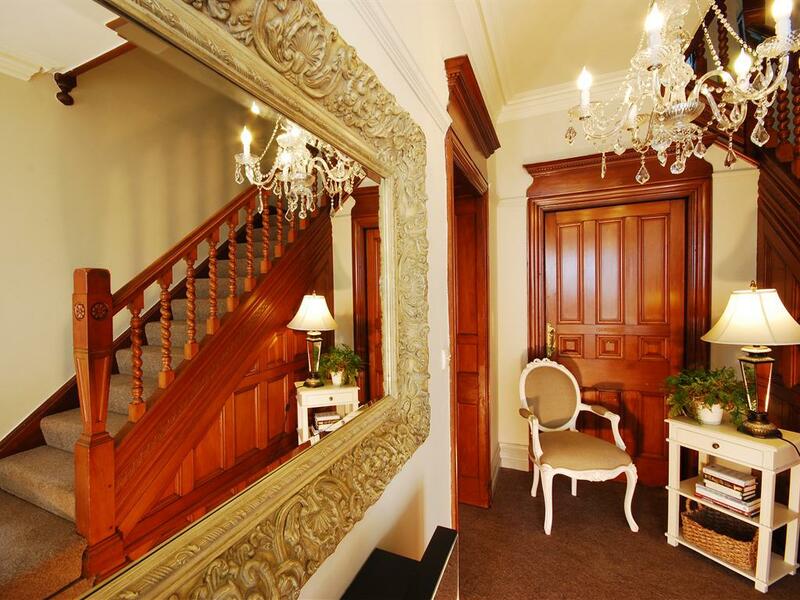 It features a large bay window and a gorgeous original carved fireplace. 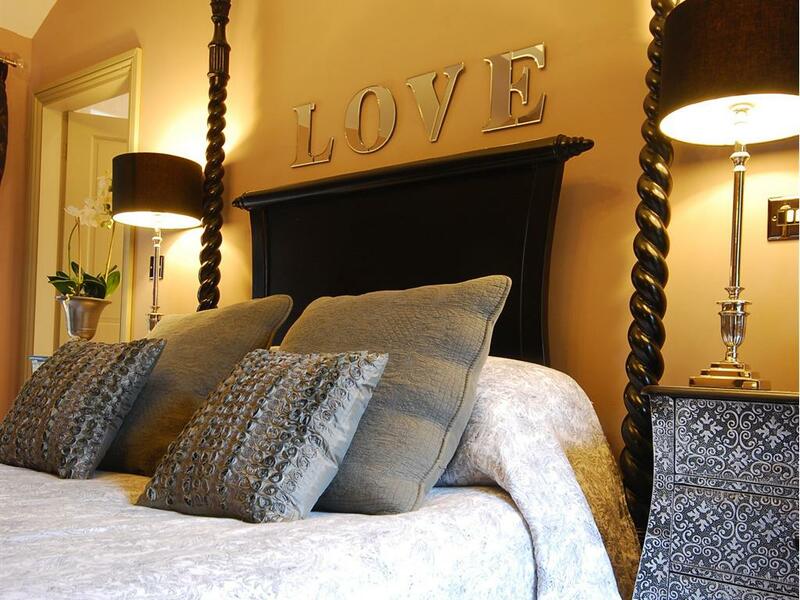 ROOM 8 is a beautiful, spacious room decorated in cream, black and grey. It features a dramatic black four-poster bed, a dressing table and two easy armchairs. It has it's own hallway leading off from the entrance hall. Both rooms have clean, modern en-suites with a washbasin, shower and toilet. 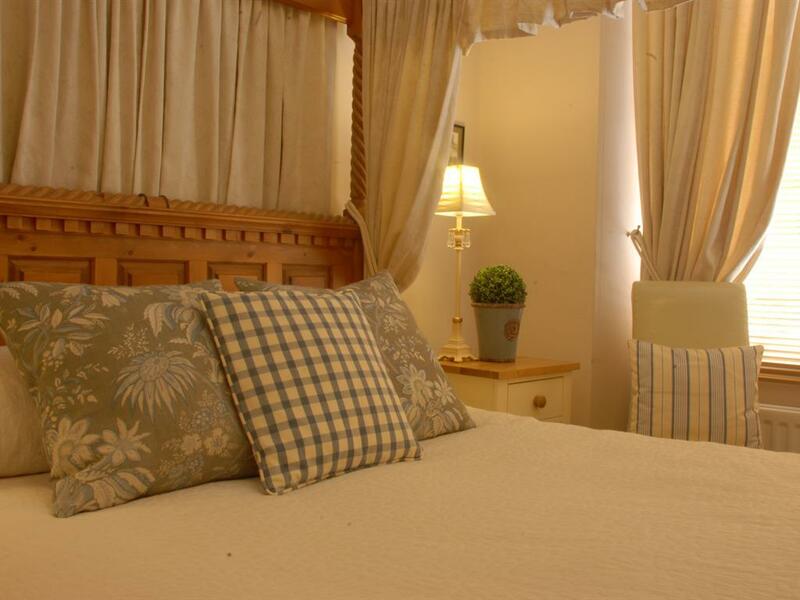 All bed linen, fluffy bath sheets and hand-towels are supplied. We also provide organic hand cream, shampoo, conditioner and soap. 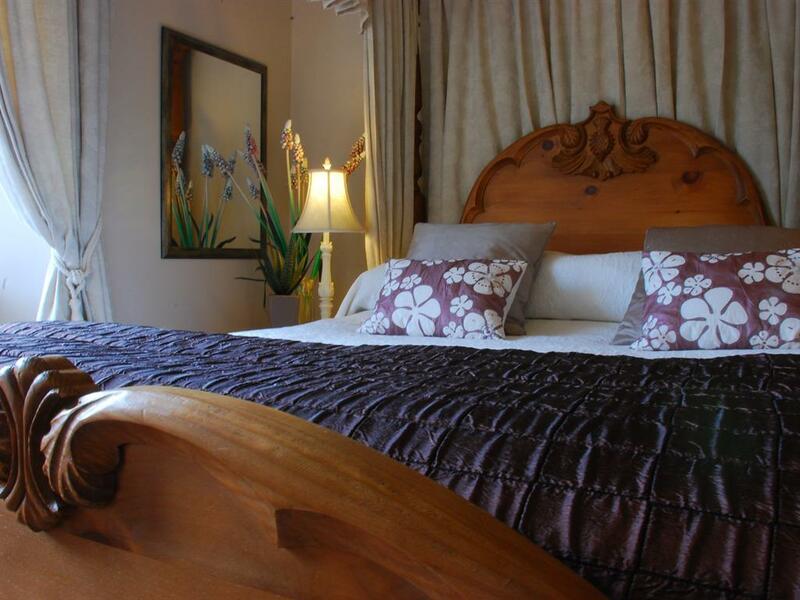 Both rooms have a flat screen TVs and broadband internet access (Wi-Fi). We also provide a complimentary refreshments tray with tea, coffee, hot chocolate, biscuits and chocolates. 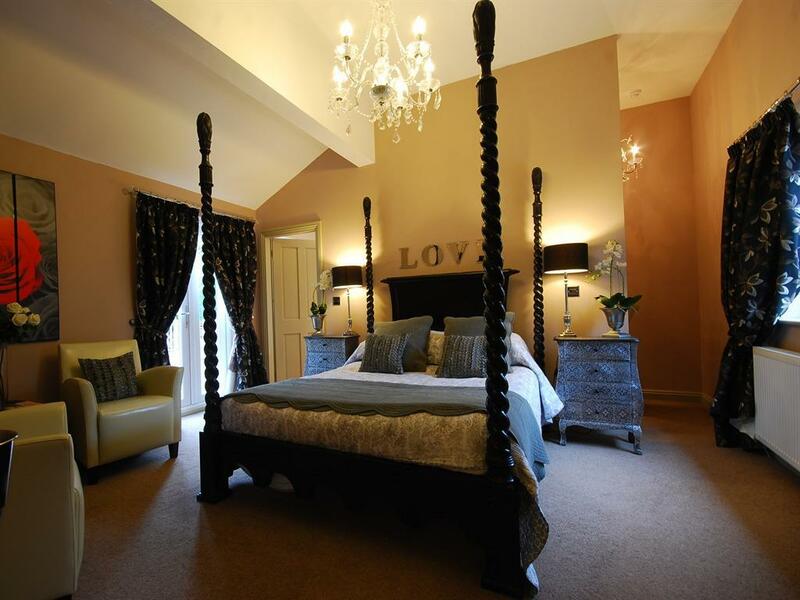 Above all, however, our beds are so comfortable that people tell us it's the best night's sleep they have had in ages! Built in 1902 as a gentleman’s private vacation residence by builders Pattinsons of Windermere, in the Arts and Crafts style, our Edwardian house retains many of its original features, including a solid oak staircase, stained glass windows, deep architraves, a beautiful wooden carved fireplace in one of the bedrooms and wood panelling in the dining room. 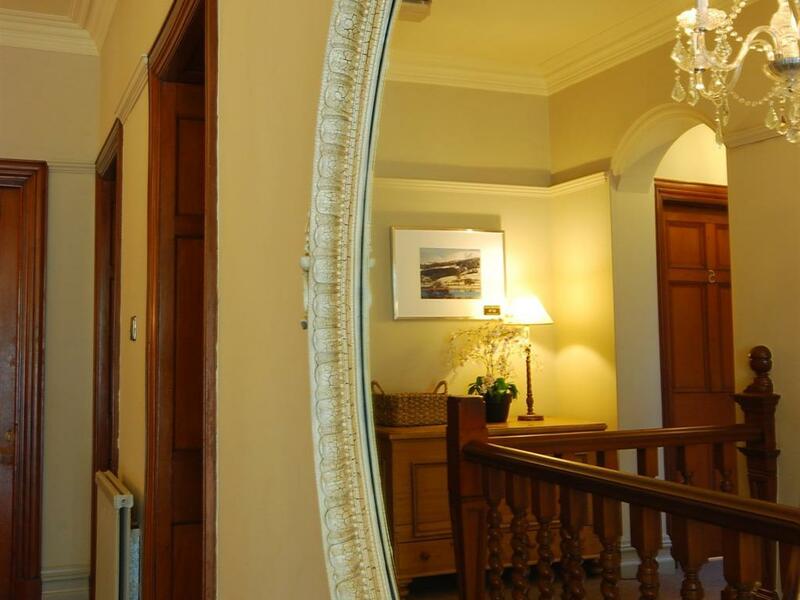 Hilton House is a must for the discerning guest looking for stylish, quality Bowness and Windermere accommodation with that extra special ambience. 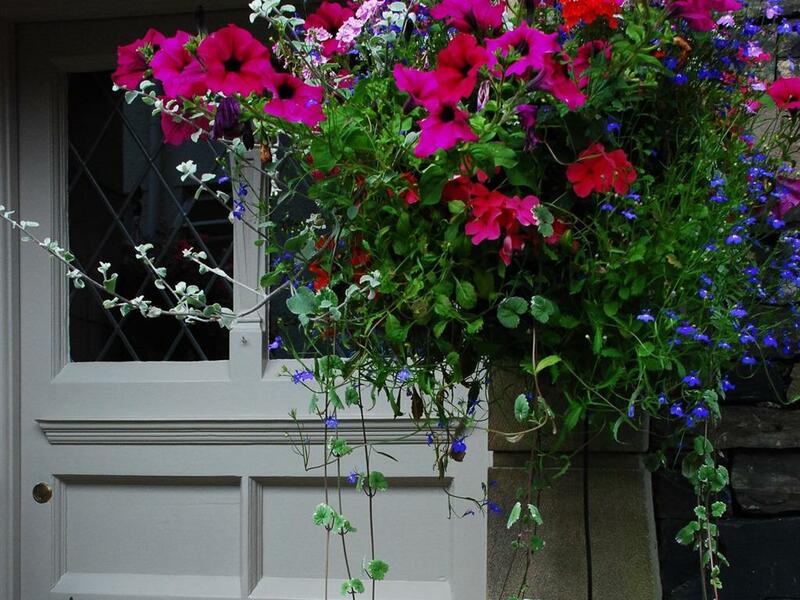 Our Lake District home is conveniently situated between the villages of Windermere and Bowness. 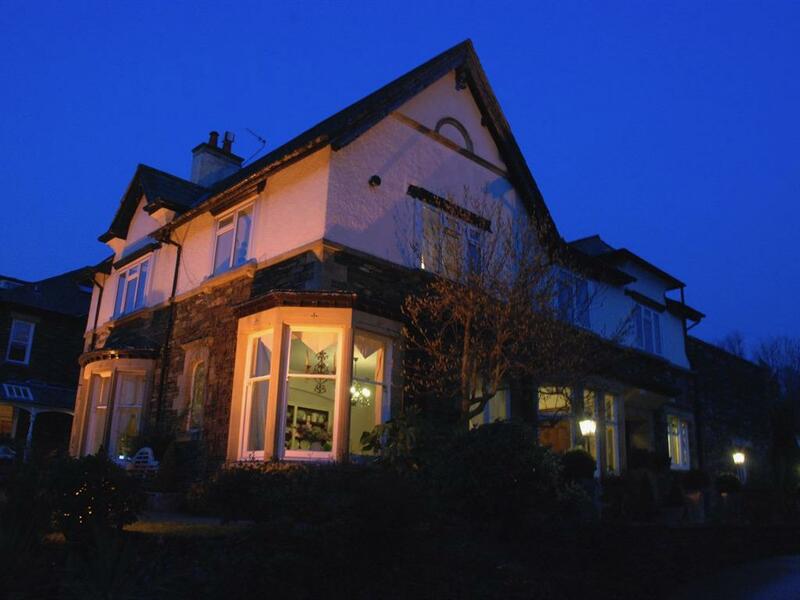 It is within a short walking distance (5-15mins) of Lake Windermere and both tourist centres offer an extensive range of pubs, restaurants, shops and entertainments. The house stands within its own grounds with ample off-street parking. The Brookside, a cosy and friendly traditional pub, nestles behind woods and a stream to the rear of the property. 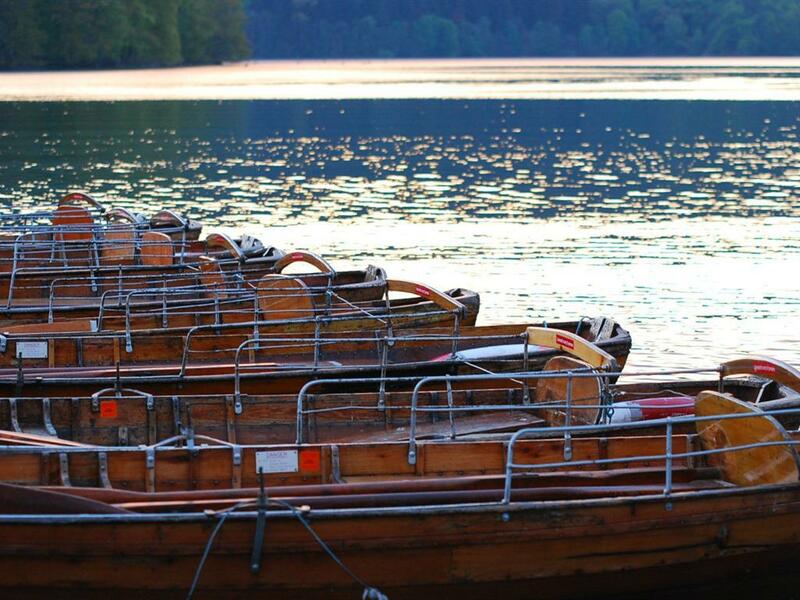 Scenic strolls, woodlands and Lake Windermere are all within easy reach and there are bus and train services within 5-10 minutes walk from us. We hope you will come and stay with us in Windermere and make Hilton House Guesthouse the base from which to explore and enjoy the many varied attractions of the English Lake District. 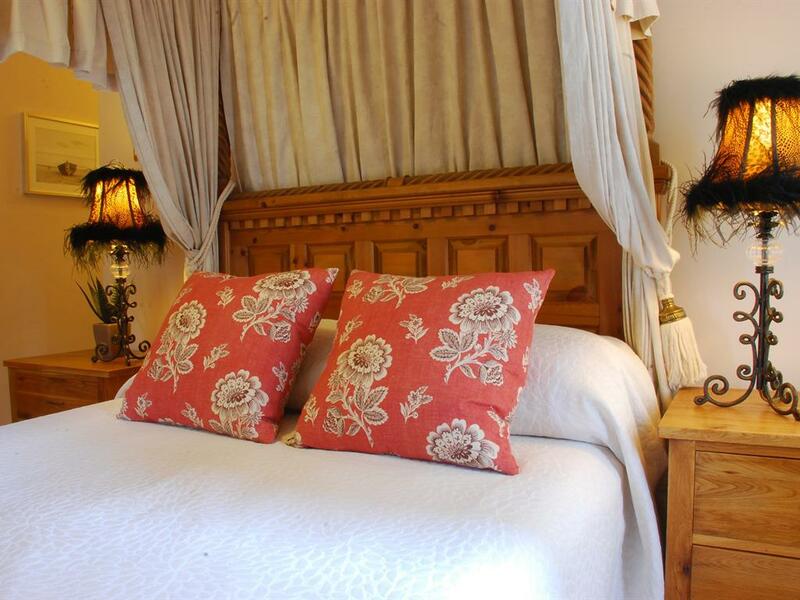 Please note that a Cancellation Policy does apply to rooms booked at our house. Please check with the proprietor when making the booking. Thank you.